Digital History has a name that is really misrepresenting in a way. Digital History really has not been around that long so it really it does not have all that much history. But in fact, what history it does have is really interesting and quite different. Digital History provides a platform for unique and adaptable ways to present history to the public. Technology is influencing more and more parts of our lives by the day. Technology reaches more people than would be possible with just books. 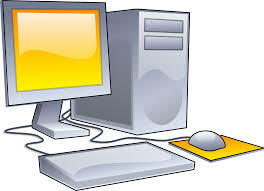 Also it provides unique learning platforms that have various strengths. One of these is GIS, a platform that combines both factual knowledge and geographic space. By putting information in points on a map, viewers get a sense of the space along with the information. It is sort of the middle ground between reading about an event in textual format and going to the place itself. It is also a platform that is suited for a primarily image-based exhibit. Images are a way to capture events and preserve them like never before. With digitization these images are preserved instantly. An image can have even more of an effect than the most well-written paragraph. Some images are so powerful that they are seared into our memories for ever. For me doing Digital History was the best way to learn about it. For my final project, I looked into flooding in the city in the decade leading up to the City Beautiful movement. I found that GIS technology was ideal for showcasing this. It allowed me to add a location to the images that I collected from the flood. On my GIS site, one can click the images and view the location that the image was taken back in 1889. This adds a level to the research that is only possible on this platform. The aim of my project was to reconstruct the devastating flood of 1889 in both images and words as it was depicted back then. 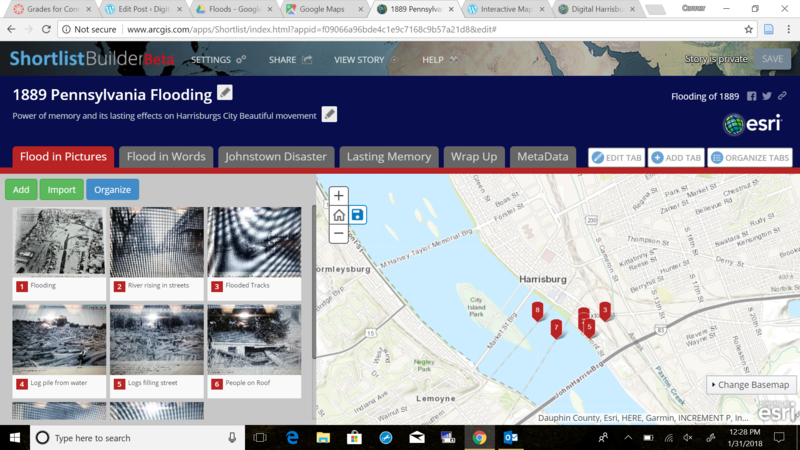 The GIS platform allowed me to combine the images and texts to reconstruct the flood and relay the effect of flood and the lasting memory that resonated through the City Beautiful movement. This is not to say that the platform makes the research; it is important to keep that distinction in mind. The research is the most important part, but the best platform can enhance your research and take it up a notch. Indeed, the most important thing with history in the digital age is to keep the emphasis on history. Technology can be flashy and shiny but too much can be bad. Sometimes less is more when it comes to technology. This is especially important when creating for a public audience. Just because you can understand something does not mean that everyone else will. Confusing technology does more harm than good, and consumers of history on a digital platform want something that is easy to use, understandable, and sustainable. Sustainable technology is especially important, as it is the responsibility of the creator to also be the caretaker. Neglecting digital platforms results in deterioration or even complete loss. The digital world is something that is going to not going away, and digital history is the new platform that will be prominent as we go forward. It is essential to maintain digital proficiency and it is important that history maintains, develops, and operates on digital platforms for the time to come.